The heroes of Les Xipéhuz … are certain luminous beings, who flashed and shone a thousand years before the civilization from which sprang Nineveh, Babylon, and Ecbatana! The phantasy is ingenious, and ingeniously developed. The pretense of erudition is as curious as the style is delicate. … Here we are face to face with the supernatural, and far, indeed, from that microscopic examination of ugliness which for so long a time has appeared to justify its own tedium. Next to Jules Verne, the Belgian author J.-H. Rosny, the pen name of brothers Joseph Henri Honoré Boex (1856–1940) and Séraphin Justin François Boex (1859–1948), is perhaps the greatest Francophone science fiction writer. 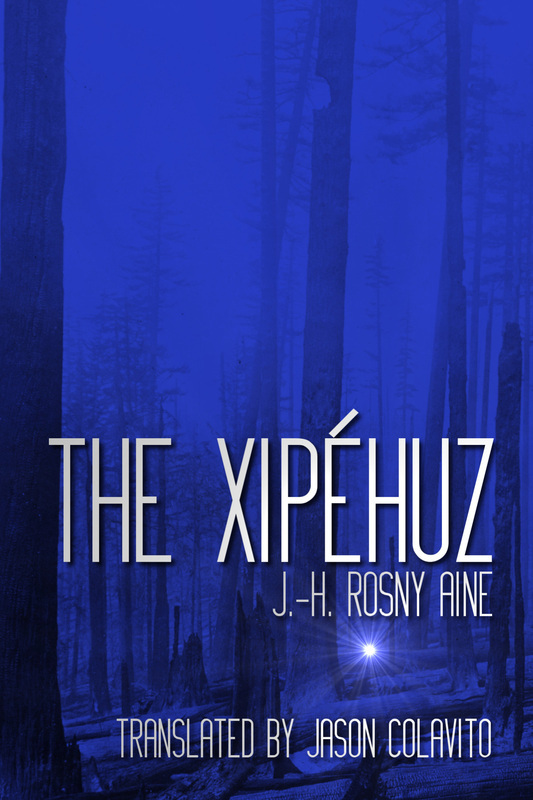 The 1887 novella "The Xipéhuz" is frequently attributed solely to Joseph, under his post-1909 solo pen name of J.-H. Rosny aine, or Sr., though some sources say both writers worked on it. The best evidence suggests that the younger Boex began his partnership with his brother until 1887, and both agreed that the novella was the elder brother's work. The novella anticipates many of the themes found in H. P. Lovecraft, including prehistoric visitation from non-anthropoid extraterrestrial beings, their advanced science and culture, and these beings' indifference to the fate of humanity. These themes also resonated with Theosophists, who saw a reflection of their own "ancient astronauts" in Rosny's work. Theosophists believed that science fiction writers were subconsciously channeling truths about Theosophy from the astral or etheric plane. An English-language abridgment of the novella, representing only twenty percent of the text, was published in the Theosophical Journal in 1903. Despite its reputation as a masterwork of science fiction, "The Xipéhuz" was only fully translated into English many decades after its initial publication: by Damon Knight in 1968, by George Slusser in 1978, by Georges Dodds in 1986, and again by Danielle Chatelaine and George Slusser in 2011. Since none of these translations is available in complete form online, I have produced a new, complete translation, making this important work available online for the first time. It was a thousand years before the civilizing massing of peoples through which later arose Nineveh, Babylon, and Ecbatana. The nomadic tribe of Pjehou, with their donkeys, horses, and cattle, crossed through the wild forest of Kzour. As the twilight fell across this great expanse, great flocks of birds were singing, hovering, and descending in harmonious broods. Everyone was very tired and silent, looking for a beautiful clearing where the tribe could light the sacred fire, make dinner, and sleep safely from the beasts behind the double row of red blazing flames. The clouds were iridescent, the country polychromatic across the four horizons. The gods blew the song of the night time, but still the tribe was walking. A scout appeared, galloping up, announcing a clearing and a pure source of water. The tribe gave three long cries and all went faster, with bursts of childish laughter. The horses and donkeys were accustomed to recognize in these sounds the approach of rest from the onward push of the traveling nomads, and they lifted their tired heads. The clearing appeared. As the nomads wound their way between mosses and shrubs, a phantasmagorical sight revealed itself to the nomads. They first saw a large circle of cones—bluish, translucent, apex upwards—each in volume about half the size of a man. A few bright lines and some rings of dark color dotted their surface, and all had at their base a dazzling star-shaped aperture shining like the sun at midday. Further, and just as strangely, planar forms like walking rocks stood behind them, quite similar to birch bark splattered with colorful ellipses. And there were yet, here and there, quasi-cylindrical shapes, varied also, some thin and tall, the others low and squat, all of tan color and dotted green—all having the characteristic star-shaped point of light. The tribe looked on, amazed. Superstitious fear froze even the bravest of them when the Forms, coming to life, began waving in the gray shadows of the clearing. And suddenly, their star-shaped lights pulsating, the staggering cones lengthened, and cylinders and planes rustled like water thrown on a flame, all gradually moving toward the nomads with accelerating speed. The whole tribe, transfixed by the spell cast by this sight, did not move, watching as the Forms approached them. The shock was terrible. Warriors, women, and children all clustered together and crumbled onto the floor of the forest, cut down as if mysteriously struck by lightning. Those who survived the force quickly took flight in great terror. The Forms, which had attacked first in ordered ranks, now scattered around and attacked fugitive members of the tribe pitilessly. The terrible attack, however, was not infallible. They killed some, dazed others. A few drops of red flashed at the nostrils, eyes, and ears of the dying, but the others, unwounded, got back up and fled into the twilight pallor of the darkening night. Whatever the nature of the Forms, they acted in the manner of sentient beings, not as inorganic elements but as beings with purpose behind their actions, obviously choosing their victims. They did not confuse the nomads with plants or even animals. Soon the swiftest of the fugitives came to realize they were no longer being pursued. Exhausted, they dared to return for a second look. Off between the trees, submerged in shadow, the still resplendent Forms continued their pursuit. The Forms hunted and slaughtered warriors but often refrained from touching the weak—the women and the children. Thus, when in time night had completely fallen, the scene became more supernatural. Horror mounted in the barbarian brains of the warriors. They observed that the Forms abandoned pursuit of warriors, women, and children beyond a fixed limit. Once this invisible frontier was crossed, even a tired man, collapsed in exhaustion and impotent as any victim, immediately was safe from all danger. This very reassuring observation, soon confirmed by fifty examples, calmed the nerves of the anxious fugitives. They dared expect their companions, their wives, and their poor little ones to escape the massacre. Similarly, one of them, a Hero initially terrified by the supernatural adventure, found a bit of his courage, lit a fire, and trumpeted on his buffalo horn to guide the lost to safety. Then, one by one, came the miserable. Many, lame, crawled on their hands. Mothers, with the indomitable strength of motherhood, together brought the fruits of their womb through the melee. And many donkeys, horses, and cattle, returned, less frantic than the men. A gloomy night passed in silence, without sleep. The warriors felt continually shaken to their very bones! But the dawn came. The first pale light crept through the large leaves. Then the band of rosy colors shone, and the birds began sounding out exhortations to life, exhortations to reject the terrors of the night. The Hero, the natural leader, began counting the crowd, organizing them into groups. Half of the warriors, two hundred, were missing and had probably died. The group had lost many fewer women and almost no children. When the counting was finished, he collected the beasts (some were missing—the superiority of instinct over reason the cause for their flight). The Hero organized the tribe following the usual arrangement and then ordered them to wait as he went alone, pale, toward the clearing. No one even remotely dared follow. He went where the trees were widely spaced, just beyond the limit observed the day before, and looked. Far away, in the fresh, clear morning air, a stream flowed; and on its edges, stood the whole group of Forms, shining fantastically. Their colors had changed. The cones’ colors were deeper, with their turquoise now turned more of a green. The cylinders had become a cloudy purple, and the planes resembled copper ore. But in all of them, the star shot out its rays, and even in daylight, they dazzled. The Forms’ metamorphosis extended also to the contours of these eerie Entities. The cones had widened into cylinders; the cylinders had widened out, while the planes had bent into curves and semi-curves. But, as with the night before, suddenly the Forms began to undulate; their stars started to throb. They had become aware of the Hero. He slowly re-crossed the invisible border to safety. The nomadic Pjehou tribe stopped at the door of the Tabernacle, and the chiefs alone entered. Against a backdrop filled with stars and the image of the male Sun god, there stood three high priests, and below them on the golden steps twelve priests. The Hero stepped forward and told of the terrifying adventure in the forest of Kzour. The priests listened very seriously, surprised and feeling a lessening of their power before this supernatural occurrence. Thus, the supreme high priest demanded that the tribe should offer twelve young bulls, seven asses, and three stallions to the Sun. He recognized divine power working in the Forms and resolved to undertake a hieratic expedition to the Forms after making sacrifices. All the priests and all the leaders of the Zahelali nation were to come with him. And the messengers traversed the mountains and plains for a hundred leagues in every direction from the place where later arose the mages of Ecbatana. Everywhere this dark omen stood the hair of men on end, and everywhere tribal leaders hastily obeyed the call of the priests. One autumn morning, the male god, the Sun, pierced the clouds, flooding the Tabernacle, reaching the smoking altar where a bleeding bull heart burned; and the high priests, the immolators, and the fifty chiefs all gave a triumphant cry. Outside, a hundred thousand nomads, trampling the fresh dew, repeated the cry, softly trembling and turning their sunburned heads toward the expansive forest of Kzour. The omen was favorable. Then, with the priests at their head, the whole people marched through the woods. In the afternoon, at about three o’clock, the Hero of Pjehou stopped the priests. In the large clearing, rust-colored autumn leaves spread across the ground and the foaming stream meandered majestically. At the edges of the stream, the priests saw what they came to worship and appease: the Forms. They were pleasing to the eye in the shade of the trees, with their colors shimmering, with the pure fire of their stars, and with their own quiet evolution. All the senior chiefs bowed. A voice rose, however. It was Yushik, of the tribe of Nim, a young astrologer, a pale watchman famous for his fanaticism, who daringly asked to go nearer the Shapes. Beyond, among the silent tree trunks, the Forms circulated, always shining, preferring the places where the sunlight sank into denser waves. And snatching the warm heart of the dead stallion before the curious high priest had even uttered a word, Yushik rushed across the clearing. Fanatics, with screams, soon followed. Slowly, the undulating Shapes were convening, hugging the ground; and then suddenly, swiftly, they fell upon the foolhardy fanatics, and a lamentable slaughter terrified the fifty tribes. Six or seven survivors, with great effort and relentlessly pursued, reached the limit. The rest perished, and Yushik with them. “These are implacable gods!” the supreme high priest solemnly said. Then a Council assembled—the venerable council of priests, elders, and leaders. And they decided to draw beyond a boundary of safety, enclose it with stakes, and determine the enclosure’s size by forcing slaves to expose themselves to attack by the Forms all the way around at various distances from them. And it was done. Under the threat of death, the slaves entered the enclosure. Very few, however, perished because of the excellent preparations, and the border was firmly established and made visible by the circle of stakes. Thus ended happily the priestly mission, and the Zahelals believed themselves protected against the subtle enemy. But the preventive system recommended by the Council, soon proved impotent. The following spring, the tribes of Hertoth and Nazzum were passing near the enclosure of stakes in a somewhat disorganized way and, unsuspecting, were cruelly assaulted by the Forms and decimated. Their leaders who escaped the massacre told the grand council of Zahelal that the Forms were now much more numerous than last fall. However, as before, they limited their pursuit, but the limits were now extended. This news induced great consternation among the people, and there was great mourning and great sacrifices. Then, the Council resolved to destroy the forest of Kzour by fire. Despite all efforts, they could not burn anything more than the edge. So the priests, in desperation, declared the forest taboo and forbade anyone from entering. And two summers passed. One night in October, when the tribe of Zulf was asleep ten bow-shots from the fatal forest, their whole encampment was invaded by the Forms. Three hundred warriors lost their lives. After this, a sinister story, corrosive and mysterious, traveled from tribe to tribe, whispered in the ear in the evening, beneath the astral dome of dark Mesopotamian nights. Mankind would perish! The Other, still expanding day by day in the forests, on the plains, indestructible, would devour the fallen race. And this secret, fearful and black, haunted their poor brains, deprived them of the strength to fight, the great optimism of youthful races. Wandering peoples, dreaming of these things, dared not love their sumptuous native pastures, but, looking up, searched the sky, with its troubled eye, for the edict of the constellations. It was the Millennium for these young tribal peoples, the death knell of the end of the world, or, perhaps, the resignation of the red man in the Indian jungles. And from this anxiety, the primitive philosophers had fashioned a bitter cult, a cult of death preached by pale prophets, worshiping a Darkness more powerful than the Stars, a Darkness that would engulf and devour the holy Light, the shining fire. Everywhere around these solitudes, one met motionless, emaciated shadows of men of silence, who, from time to time, spreading among the tribes, recounted their horrific dreams of the Twilight before the approaching Great Night, and of the dying of the Sun. However, at this time, there lived an extraordinary man named Bakhoûn from the tribe of Ptuh and brother to the first high priest of the Zahelals. Early on, he had left nomadic life and chose beautiful solitude between four hills in a narrow valley where sang the limpid flow of a quiet stream. With local rocks he had constructed for himself a sort of tent, a Cyclopean home. With patience, and the assistance provided by four horses, he had created wealth: regular crops. His four wives and thirty children lived the life of Eden. Bakhoûn professed singular ideas, which would have caused him to be stoned except for the respect the Zahelals had for his older brother, the Grand Priest. First, he believed that sedentary life, life in a fixed place, was preferable to nomadic life, directing human forces in favor of the mind. Secondly, he believed that the Sun, Moon, and Stars were not gods but luminous masses. Thirdly, he said that man must only believe in things proven by experience. The Zahelals attributed magical powers to him, and the more adventurous sometimes ventured to consult him. They did not repent of it but rather admitted that he had often helped unhappy tribes by distributing food to them. He also succored those that were actually miserable, and unwittingly, met the barbarians with a fair refusal of the fruits of his plow. However, in the dark hour when the melancholy alternatives appeared to be either to abandon their fertile lands or be destroyed by the inexorable gods, the tribes thought of Bakhoûn, and the priests themselves, after struggling with their pride, sent three of the most significant of their order to see him. Bakhoûn gave the most anxious attention to their stories, making them repeat themselves, asking many and precise questions. He took two days for meditation. After this time, he simply announced that he would concentrate on the study of Shapes. The tribes were a little disappointed because they had hoped that Bakhoûn could save the country by witchcraft. However, their leaders proved happy with his decision and hoped for great things. So Bakhoûn stood near the forest of Kzour, retiring at the time of rest; and all day he watched, mounted on the fastest stallion in Chaldea. Soon convinced of the superiority of the beautiful animal over the most agile of Forms, he was able to begin his bold and careful study of the enemies of Man, to which study we owe the great pre-cuneiform book of sixty tablets, the most wonderful book that the nomadic ages have bequeathed to modern races. It is in this book, an admirably patient observation and austerity, that is found a life completely unlike our animal and vegetable kingdoms, a system Bakhoûn humbly confesses not being able to analyze in its appearance in anything but the coarsest outermost layer. It is impossible for man not to shudder reading this monograph concerning beings Bakhoûn calls the Xipéhuz, through which, in objective details, never pushed to the extremes of the marvelous, the ancient scribe reveals their actions; their mode of progression, combat, and generation; and demonstrates that the human race has been on the brink of nothingness, that the Earth was almost a colony of a Kingdom, the very fabric of which is lost to us. The Xipéhuz are obviously alive. All their actions imply will, caprice, association, and partial independence which distinguish animal Beings from plants or inert thing. Although their mode of progression can be defined by comparison—a simple slide along the earth—it is easy to see that they run at their discretion. We see them suddenly stop, turn, jump in pursuit of each other, walking in twos or threes, manifest preferences that induce them to leave a companion to go off and join another. They have not the ability to climb trees, but they manage to kill the birds by attracting them by unknown means. One often sees them surrounding wild beasts or waiting behind a bush for them, and they never fail to kill and incinerate them thereafter. One can say as a rule they kill all the animals they can reach indiscriminately, without apparent reason, because they never eat them, but simply reduce them to ashes. Their method of burning requires no fire-building: the incandescent point they have at their base serves for this operation. They meet in groups of ten or twenty in a circle around the large animals they killed, and their rays converge on the carcass. For small animals—birds, for example—the rays of one Xipéhuz are enough for incineration. It should be noted that the heat they can produce is not instantly violent. I often received on my hand a Xipéhuz’s radiation, and the skin only began to warm up after some time. I do not know whether to say that the Xipéhuz have different forms, because all can be transformed successively into cones, cylinders, and planes, and all that in a single day. Their color varies continuously, which I think I should attribute, in general, to the changes in light from morning until evening and from evening until morning. However, some color variations appear to be due to the whim of individuals and especially their passions, so to speak, and thus constitute real facial expressions, which I was perfectly powerless, despite ardent study, to determine the simplest other than by hypothesis. Thus, I never could, for example, distinguish a shade meaning wrath and that of gentleness, which certainly would have been the first discovery of this kind. I have spoken of their passions. Previously, I noticed their preferences, what I would call their friends. They have also their hatreds. A particular Xipéhuz will constantly avoid another and vice versa. Their anger appears violent. I saw them collide with movements similar to those seen when attacking large animals or humans, and it was through those fights that I learned they were not immortal, as I was initially inclined to believe, as two or three times I saw a Xipéhuz succumb in these fights, that is to say collapse, condense, and petrify. I carefully preserved some of these bizarre bodies , and perhaps they will later be used to discover the nature of the Xipéhuz. They are yellowish crystals arranged irregularly and streaked with blue lines. Because the Xipéhuz are not immortal, I have inferred that it must be possible to fight and defeat them, and I have since started a series of experiments in fighting them to be discussed later. As always, the Xipéhuz radiate enough to be seen through the bushes and even behind the thickest trunks—a large halo emanates from them in all directions and warns of their approach. Thus, I could venture into the forest, relying on the velocity of my stallion for escape at the slightest alarm. Then I tried to discover if they built shelters, but I confess to having failed in this research. They do not move stones or plants, and they appear to be strangers to any sort of tangible and visible industry, the only industry amendable to human observation. They have therefore no weapons, according to any conception we have of the word. Surely they can kill at a distance: any animal that could flee without immediate contact with a Xipéhuz has inevitably escaped, and to this I was repeatedly witness. As the unfortunate Pjehou tribe already discovered, they could not cross certain barriers for the pursuit of their victims. But these limits are still increasing year by year, month by month. I had to find the cause. However, this cause seemed to be a phenomenon of collective growth and, like most things about the Xipéhuz, it is beyond the intelligence of man. Briefly, here is the law: the limits of the Xipéhuzian action expand proportionally to the number of individuals; that is to say, that once there is the procreation of new beings, there is also an expansion of the frontiers, but while the number remains unchanged, every individual is completely unable to cross the boundaries of the habitat assigned—by the force of circumstance (? )—to the whole race. This rule suggests a more intimate relationship between the mass and the individual than the similar correlation noticeable between men and animals. It was later found that the reciprocal of this law also held true; as soon as the Xipéhuz began to decline in number, their boundaries shrank proportionally. Of the phenomenon of procreation I have little to say, but the following is typical. First, this reproduction occurs four times a year, just before the equinoxes and solstices, and only on nights that are very clear. The Xipéhuz first meet in groups of three, and these small groups gradually end up forming one large, closely amalgamated group arranged as a very long ellipse. They stay that way all night and morning until the sun reaches its zenith. When they separate, one sees rise in the air forms that are indistinct, vaporous, and enormous. These forms condense slowly, shrink, and become after ten days amber cones, still considerably larger than Xipéhuz adults. It takes two months and a few days for them to reach their maximum development, that is to say shrinkage. After this time, they become similar to other beings of their kind, their colors and shapes depending on the time of day, the weather, and individual whim. A few days after their full development (or shrinkage), the boundaries of their actions widen. It was, of course, a little before that fearsome time that I pressed the sides of my good Kouath to go establish my camp further out. If the Xipéhuz have senses, it is not possible to say. They have certainly devices—organs (? )—that seem to serve that purpose. The ease with which they perceive at large distances the presence of animals, especially men, tells us that their investigative organs are at least equivalent to our eyes. I have never seen them confuse a plant and an animal, even in circumstances where I could easily have made this mistake, misled by light filtered through branches, or the color of the object, or the object’s position. That it requires twenty of them to burn a large animal, while but one deals with the incineration of a bird, shows an agreement of proportions, and this agreement seems more perfect if we observe that the groups are of ten, twelve, fifteen—always due to the relative size of the carcass. A better argument still in favor of the existence of organs similar to our senses or intelligence is the way they acted in attacking our tribes, as they pursued few or no women and children, while they ruthlessly hunted warriors. Now the most important question: Do they have a language? I can answer this without hesitation: “Yes, they have a language.”And this language consists of signs of which I have even deciphered a few. Suppose, for example, that one Xipéhuz wants to talk to another. For this, it suffices to direct the rays of its star to its companion, which is always seen instantly. The called, if it works, stops and waits. The speaker then rapidly traces on the surface of his listener—and it does not matter which side—a series of short bright characters, by means of radiation from the base, and these characters remain for a fixed time, then disappear. The caller, after a short pause, responds. Preliminary to any action of combat or ambush, I have always seen the Xipéhuz use the following characters: )—(—. When it was a question of me—and it was often a question of me because they did everything to exterminate us, my brave Kouath and me—the signs ○—V) were invariably exchanged, among others, as the word or phrase )—(— given above. The call sign for a state of alert was Ω, and this brought rushing the individual who received it. When all were invited to a general meeting, I never failed to observe a signal of this form, ▲▐ ■, representing the triple appearance of these beings. The Xipéhuz also have more complicated signs, not only related to actions similar to ours but also to an order of things completely extra-human, which I have not been able decipher. We cannot maintain any doubt as to their ability to exchange ideas of an abstract order, probably equivalent to human ideas, because they can long remain immobile, doing nothing but talking, which indicates an actual accumulation of thought. My long stay close to them had led me, despite their metamorphosis (laws vary for everyone, probably slightly, but with adequate characteristics to be noticed by the determined observer), to come to know several Xipéhuz fairly closely and to reveal to me the peculiarities of individual differences ... or should I say their “characters”? I knew some who were taciturn, who almost never traced a word; others who were expansive discoursers; some who were attentive; other gossips who, talking together, interrupted each other. There were some who liked to retire to live solitarily; others were obviously looking for socialization. There were fierce ones perpetually hunting cats and birds; and merciful ones who often spared animals and instead let them live in peace. Does all this not open the imagination to vast speculation? Does one not imagine a diversity of skills, intelligence, and forces similar to those of the human race? They practice education. How many times did I see an old Xipéhuz sitting in the middle of the very young, the radiant signs that they repeated one after the other, and then made them again and again when the rehearsal was imperfect! These lessons were very wonderful in my eyes, and of everything about the Xipéhuz, there is nothing that held my attention so, nothing that concerned me more during my sleepless nights. It seemed to me that it was here, at the dawn of the race, that the veil of mystery was about to open, where a simple, primitive idea might gush forth and enlighten for me a corner of the deep darkness. No, nothing has deterred me. I have watched this education for years, and I have tentatively guessed at countless interpretations. How many times did I think I had seized a furtive glimmer of the essential nature of the Xipéhuz, an extrasensory glimpse, a pure abstraction, that (alas!) my poor faculties drenched in flesh were never able to pursue! I said earlier that I long thought the Xipéhuz immortal. This belief was destroyed at the sight of the violent deaths that came after fights between Xipéhuz, and I was naturally led to seek their vulnerable spots and applied myself every day since then to finding ways to destroy them, because the Xipéhuz had grown in number so that, after they overwhelmed the forest of Kzour south, north, and west, they began to encroach on the plains on the eastern side. Alas! In just a few more cycles, they would deprive man of his earthly home. So I armed myself with a slingshot, and as soon as the Xipéhuz were out of the forest and within range, I aimed and threw my stones at them. I did not obtain any result although I had hit all the individuals I targeted on all parts of their surfaces, even on their point of light. They seemed to have perfect insensitivity to my attacks, and none of them ever diverted around one of my shots. After a month of trial, I was obliged to confess that the slingshot could do nothing against them, and I gave up this weapon. I took up the bow. With the first arrows that I shot, I discovered the Xipéhuz were afraid of them, for they turned away, stood out of reach, and avoided me as best they could. For eight days, I tried in vain to hit one. On the eighth day, a party of Xipéhuz, I think motivated by the zeal of the hunt, passed quite close to me pursuing a beautiful gazelle. I hurriedly flung a few arrows to no apparent effect, and the party broke up, chasing me as I spent my ammunition. I had no sooner reached my last arrow than they all came at me at high speed from different directions, hemming me in from three sides, and I would have lost my life without the prodigious velocity of the valiant Kouath. This adventure left me full of uncertainties and expectations, and I spent the whole week inert, lost in the vague depths of my meditation, pondering a problem that was overly exciting, subtle, apt to chase away sleep, and, at the same time, one that filled me with pain and pleasure. Why did the Xipéhuz fear my arrows? Why, on the other hand, did the large number of projectiles which reached those hunting have no effect? What I knew of the intelligence of my enemies did not allow the assumption of terror without cause. Everything, however, forced me to assume that an arrow launched under special conditions should be a fearsome weapon against them. But what were these conditions? What was the vulnerable point of the Xipéhuz? And suddenly the thought came to me that it was the star that had to be hit. One minute I was certain, a passionate, blinding certitude. Then I was stuck cold with doubt. Did I not hit this goal several times with the slingshot? Why would the arrow work better than a stone? Now it was night, that immeasurable abyss, with its marvelous dome of lamps hovering over the earth. With my head in my hands, I dreamed on, my heart darker than the night. A lion roared, jackals passed onto the plain, and again a small light of hope enlightened me. I realized that the stone from the sling was relatively large and the star of the Xipéhuz so tiny! Perhaps, to act effectively, one needed to go in deep, pierce it with a sharp point, and thus their terror before the arrow was clear! However, while Vega turned slowly at the pole, the dawn was near, and for a few hours fatigue closed off the world of the mind. The following days, armed with the bow, I was constantly in pursuit of the Xipéhuz as far in their enclosure as wisdom permitted. But all avoided my attack, standing far out of reach. There was no question of them falling into my ambush, their mode of perception allowing them to see my presence even through obstacles. Toward the end of the fifth day, there occurred an event which, in itself, proved that the Xipéhuz are, like humans, both fallible and perfectible. That evening, at dusk, a Xipéhuz deliberately approached me with the constantly accelerating speed with which they love to attack. Surprised, my heart beating, I flexed my bow. He, still advancing like a column of turquoise in the nascent evening, came almost within reach. Then, as I was about to throw my arrow, with amazement I saw him turn around, hiding his star, constantly moving towards me. I only had time to spur Kouath to a gallop to escape from this formidable opponent. However, this maneuver, which no Xipéhuz had appeared previously considered using, in addition to demonstrating, once again, the invention and personal individuality of the enemy, suggested two ideas: the first, that I was just lucky to have reasoned correctly in relation to the vulnerability of the Xipéhuzian star; and the second, less encouraging, that the same tactic, if adopted by all, would make my job extremely difficult, perhaps impossible. I returned to my solitude. Anakhre, the third son of my wife Tepai, was a potent builder of weapons. I ordered him to carve a bow of extraordinary reach. He took a branch of the Waham tree, hard as iron, and he made a bow four times more powerful than the bow of the Zankann priest, the strongest archer in the thousand tribes. No living man could have drawn it. But I imagined a device to do so, and Anakhre, who worked according to my thinking, found that the vast bow could be stretched and relaxed even by a weak woman. While I had always been an expert archer and spearman, in a few days I had gotten to know so well the weapon built by my son Anakhre that I did not miss any target, be it as small as a fly or as swift as a hawk. Finishing this, I returned to Kzour, mounted on Kouath with the eyes of flame, and I began to wander around the land of ​​the enemies of man. To inspire confidence in them, I shot a great number of arrows with my usual bow every time one of their parties approached the border, and my arrows fell far short of them. They learned to know the exact scope of the weapon, and thus to believe themselves absolutely out of danger at fixed distances. However, their mistrust remained, making them move about with caprice when they were not under the cover of the forest, and making them conceal their stars from my sight. With patience, I wore down their fear, and on the sixth morning, a crowd came and stood in front of me under a large chestnut tree, at a range three times that of my usual bow. As soon as they were there, I sent forth a shower of useless arrows. So, their vigilance slept once more and their gait also became as free as in the early days of my presence. It was the decisive moment. My heart pounded in my chest so hard that, at first, I felt powerless. I waited, for on a single arrow depended the glorious future. If this one were to fail to hit its mark, perhaps never again would the Xipéhuz lend themselves to my experiments, and then how could one know if they are vulnerable to a human assault? However, minute to minute, my will triumphed, calmed my breathing, and made my limbs flexible and strong and my eye steady. Then, slowly, I lifted the bow of Anakhre. There, in the distance, a large emerald cone stood motionless in the shadow of the tree, with its bright star turned to me. The huge bow tensed, and through the air, whistling, the swift arrow flew ... and the Xipéhuz, struck, fell, shrank, and petrified in a pile. A loud cry of triumph burst from my chest, and, extending my arms in ecstasy, I thanked the Unique One. So they were vulnerable to human weapons, these terrible Xipéhuz! Thus, one could hope to destroy them! Now, without fear, I roared with all my breath, I let sound the music of joy, I who had been so hopeless about the future of my race, I who, under the sublime constellations, under the blue crystal of the abyss, had darkly calculated that two centuries would have seen the world’s limits collapse before the invasion of the Xipéhuz. And yet, when the beautiful, the beloved, the pensive night returned, there fell a shadow on my happiness, the sorrow that man and Xipéhuz could not coexist, that the terrible condition of life for one was premised on of the annihilation of the other. The priests, elders, and chiefs listened to my story in wonder. Runners sped off to the most isolated places to repeat the good news. The Great Council ordered the warriors to meet on the sixth moon of the year 22,649 on the plain of Mehour-Asar, and the prophets preached the holy war. More than a hundred thousand Zahelal warriors amassed, and a large number of fighters of foreign races—Dzoums, Sahrs, Khaldes—attracted by the promise of fame, came to offer service to the great nation. Kzour was surrounded by a tenfold ring of archers, but their arrows failed to overcome the Xipéhuzian tactics, and the reckless warriors were killed in large numbers. So for several weeks, great terror prevailed among men. The third day of the eighth moon, armed with a knife with a fine tip, I announced to the countless people that I alone would fight the Xipéhuz in the hope of destroying the mistrust that had begun to arise about the truth of my story. When Demja, Anakhre, and many chiefs spoke the same words, I found these reasons just, and I retired. So Loum, having seized my knife with a horn handle, crossed the border and the deadly Xipéhuz rushed toward him. One of them, much faster than the others, almost reached him, but Loum, more agile than a leopard, moved away, went around the Xipéhuz, and then with a giant leap, closed on him and plunged in the sharp dart. And the people, immobile, saw the opponent collapse, condense, and petrify. A hundred thousand voices rose in the blue morning, and already Loum had returned and crossed the border, his glorious name circulating through the armies. The year of the world 22,649, the seventh day of the eighth moon. At dawn, the horns sounded and heavy hammers hit the brass bells to signal the start of the great battle. A hundred black buffaloes and two hundred stallions were sacrificed by the priests, and my fifty sons and I offered prayers to the Unique One. The rising disk of the sun was swallowed up in the red of the morning as the chiefs galloped to the front of the army, and the clamor of the attack surged with the headlong course of a hundred thousand men. The tribe of Nazzum first approached the enemy, and the combat was great. Powerless at first, and cut down by mysterious blows, the warriors soon learned the art of hitting the Xipéhuz and destroying them. Then all the nations—Zahelals, Dzoums, Sahrs, Khaldes, Xisoastres, and Pjarvanns—roaring like the ocean, invaded all the plains and forests and surrounded their silent opponents. For a long time the whole battle was chaos and the messengers continually came to tell the priests that men had perished by the hundreds, but that their deaths were avenged. “This is still a victory!” I whispered sadly. But as I thought about these things, behold, the cry of battle shook the forest more strongly and then from all sides the warriors reappeared with cries of distress and fled to the boundary of safety. Then I saw the Xipéhuz appear at the forest’s edge, not separated from each other as in the morning, but united by the score, in circular formation, their lights turned toward the interior of the groups. In this position, invulnerable, they marched on our helpless warriors and horribly massacred them. It was a terrible debacle. The boldest fighters thought only of escape. Yet despite the growing mourning in my soul, I watched the fatal incidents patiently in the hope of finding a remedy at the very bottom of the pit of misfortune, because often poison and antidote live side by side. For my confidence in reason, fate rewarded me with two discoveries. I noticed, first, at the places where our tribes were in large in number and the Xipéhuz few, the killing, first incalculable, slowed as the blows of the enemy grew lesser in force, and many of the hit rose after a brief dizziness. The more robust were at last completely resistant to the shock and continued their flight even after repeated attacks. The same phenomenon repeated in various parts of the battlefield, and I dared to boldly conclude that the Xipéhuz were getting tired and that their destructive power does not exceed a certain limit. I was provided the second point, which wonderfully complemented the first, by a group of Khaldes. These poor people, surrounded on all sides by the enemy, losing confidence in their short knives, tore up the bushes and made themselves clubs with which they tried to break through. To my surprise, their attempt succeeded. I saw dozens of Xipéhuz lose their balance under the blows, and about half of the Khaldes escaped through the hole thus made, but, strangely, those who fought with bronze instruments instead of shrubs (in this case a few of the chiefs) were killed immediately upon striking the enemy. It should also be noted that the clubs did no perceptible harm to the Xipéhuz, for those who fell got up quickly and resumed the pursuit. I could not consider either discovery less than extremely important for future battles. However, the debacle continued. The earth resounded with the flight of the defeated, and before the evening, all that remained within the Xipéhuzian boundaries were our dead and hundreds of fighters who had climbed up in trees. Of these, their fate was terrible because the Xipéhuz burned them alive, converging a thousand lights on the branches which housed them. Their cries resounded terribly for hours under the great starry firmament. The next day, the tribes counted the survivors. It turned out that the battle had cost about nine thousand men, and a cautious assessment counted the Xipéhuz dead at six hundred. Thus, the death of every enemy had cost fifteen human lives. Despair welled up in our hearts; many were crying and spoke out against the chiefs and urged the abandonment of the whole terrible business. Then, amidst the whispers, I went into the camp and I began to reproach them all for the pusillanimity of their souls. I asked if it was better to let perish all men, or to sacrifice some. I demonstrated to them that in ten years the Zahelal country would be invaded by the Forms, and in twenty years the country of the Khaldes, the Sahrs, and the Pjarvanns and Xisoastres. Then, having thus awakened their conscience, I forced them to recognize that already a sixth of the dreaded Xipéhuz territory had been returned to humanity, and from three sides the enemy had been driven back into the forest. I finally communicated my observations, and I made them understand that the Xipéhuz were not tireless and that wooden clubs would knock them over and force them to reveal their vulnerable spot. A great silence reigned over the plains. Hope returned to the hearts of the countless warriors who listened to me. So, to increase confidence, I described devices of wood that I had imagined, suitable for both attack and defense, and enthusiasm was reborn. People applauded my words, and their leaders laid their right of command at my feet. The following days, I caused many trees to be felled, and I provided the model for light, portable barriers described below in summary: a frame six cubits long and two cubits wide, connected by bars to an inside frame with a width of one cubit and a length of five. Six men (two carriers; two warriors armed with large, thick wooden spears; and two others with spears of wood, with very thin metal spikes, and provisioned further with bows and arrows) could fit within comfortably, and move through the forest, sheltered against the immediate attack of the Xipéhuz. Once within range of the enemy, the warriors with blunt spears would strike, knocking over the enemy and forcing it to expose itself so the spearmen-archers could shoot at the stars with the spear or the bow, as events demanded. As the average height of the Xipéhuz reached a little more than a cubit and a half, I arranged the barriers so that the outer frame did not exceed, during operation, a height above the ground of a cubit and a quarter, and to do so it was enough to tilt the little brackets that connected it to the inner frame carried in human hands. Since the Xipéhuz did not know how to quickly overcome unexpected obstacles or move other than in a standing position, this was a sufficiently well-designed shield against their immediate attacks. Surely, they would attempt to burn these new weapons, and in more than one case they would probably succeed, but since their beams were not very effective beyond the range of an arrow, they would be forced to expose themselves to undertake this incineration, which is not instantaneous, and thus allow the shields to evade them for the most part with swift maneuvers. The year of the world 22,649, the eleventh day of the eighth moon. On this day was fought the second battle against the Xipéhuz, and the chiefs had given me the supreme command. Thus I divided the people into three armies, and a little before dawn, I started forty thousand warriors against Kzour armed according to the system of barriers. This attack was less confusing than the attack of the seventh day. The tribes came slowly into the forest, small groups arranged in good order, and the battle began. The advantage fell to the humans for the first hour, since the Xipéhuz were completely confused by the new tactics, and more than a hundred Shapes died, barely avenged by the death of a dozen human warriors. But the surprise was over, and the Xipéhuz began wanting to burn the barriers and, in some circumstances, succeeded. A more dangerous maneuver was adopted by them in the fourth hour of the day: employing their velocity, groups of Xipéhuz, tight against each other, fell upon the barriers and managed to overthrow them. There died in this way a great number of men so that the enemy had the advantage again, throwing a part of our army into despair. In the fifth hour, the Zahelal tribes of Khemar, of Djoh, and part of Xisoastres and Sahrs began to flee. Wanting to avoid a catastrophe, I dispatched messengers protected by strong barriers to announce reinforcements. At the same time, I arranged the second army for the attack, but before they left I gave new instructions: that the barriers were to remain in groups as dense as the forest terrain allowed, and that they were to deploy in compact squares when a company of Xipéhuz neared, without abandoning the offensive. That said, I gave the signal, and in a short time I had the pleasure of seeing that the victory went to the United Peoples. Finally, toward the middle of the day, a rough count—the total losses of our army were two thousand men and the Xipéhuz dead were three hundred—showed decisive progress and filled all our souls with confidence for the final victory. However, the balance tipped slightly to our disadvantage in the fourteenth hour. The Peoples lost four thousand individuals and the Xipéhuz five hundred. That was when I threw in the third army, and the battle reached its greatest intensity. The enthusiasm of the warriors grew by the minute until the hour when the sun was ready to fall into the West. About this time, the Xipéhuz resumed the offensive north of Kzour, and a retreat by the Dzoums and Pjarvanns made me develop worries. Considering, moreover, that the night would be more favorable to the enemy than to us, I signaled the end of the battle. The return of the troops was made calmly and victoriously, and much of the night went to celebrating our successes. They were considerable: Eight hundred Xipéhuz had died, and their sphere of action was reduced to two-thirds of Kzour. It is true that we had left seven thousand of our dead in the forest, but these losses were much lower in proportion than the results of the first battle. Thus hopeful, I ventured then to design a plan for a more decisive attack against the two thousand six hundred Xipéhuz still alive. The year of the world 22,649, the fifteenth day of the eighth moon. When the red star had landed on the eastern hills, the Peoples were standing in front of Kzour ready for battle. My soul filled with hope, I finished giving instructions to my chiefs. The horns sounded, the heavy hammers rang the bronze gongs, and the first army marched against the forest. This time, the barriers were stronger, a little bigger, and contained twelve men instead of six, except for about a third of them, which were built after the old model. Thus, they became harder to burn and to overturn. The first moments of combat were happy, and after the third hour, four hundred Xipéhuz were exterminated against only two thousand of our men. Encouraged by this good news, I threw in the second army. The determination of both sides became terrible. Our fighters became accustomed to triumph, and their antagonists deployed the obstinacy of a noble race. The fourth to the eighth hour, we sacrificed not less than ten thousand lives, but the Xipéhuz paid for them with a thousand of their own, so that only one thousand remained in the depths of Kzour. From that moment, I realized that man had possession of the world, and my last concerns subsided. However, in the ninth hour a large shadow fell over our victory. At this time, no Xipéhuz approached us anymore except in enormous masses in clearings, concealing their stars, and it became almost impossible to knock them over. Inspired by battle-lust, many of our troops rushed wildly against the masses. So, in a rapidly changing way, a whole group of Xipéhuz detached itself and knocked down and massacred the foolhardy. And a thousand perished without significant loss to the enemy. Seeing this, the Pjarvanns cried that it was all over, and a panic prevailed that caused more than ten thousand men to flee, many abandoning the barriers recklessly to run faster. It cost them greatly. One hundred Xipéhuz made a pursuit and felled more than two thousand Pjarvanns and Zahelals. Terror began to spread along all our lines. When the runners brought me this sad news, I realized that the day would be lost if I did not succeed by some quick maneuvering to regain the lost positions. Immediately, I told the chiefs of the third army to attack, and I announced that I would take command. Then I moved the reserves quickly in the direction whence came the fugitives, and we soon found ourselves face to face with the pursuing Xipéhuz. Driven by the ardor of their slaughter, they did not regroup quickly, and in a few moments, I had them surrounded: very few escaped, and the cheer of our victory returned great courage to our troops. Therefore, I had no difficulty in regaining the offensive and confined our strategy to constantly detaching segments of the enemy groups, then surrounding these segments and destroying them. Soon, realizing how this tactic was unfavorable to the Xipéhuz, they recommenced the struggle against us in small units, and the killing of two races, one of which could exist only by the annihilation of the other, redoubled terribly. But any doubt about the final outcome disappeared from even the most pusillanimous of souls. Toward the fourteenth hour, barely five hundred Xipéhuz were left against more than a hundred thousand men, and that small number of antagonists was confined to increasingly narrow borders, a sixth of the forest of Kzour, which facilitated our movements greatly. However, the red light of dusk dripped through the trees, and fearing ambushes in the shadows, I called a halt to the fight. The immensity of the victory swelled all our souls, and the chiefs spoke of giving me sovereignty over all the Peoples. But I advised them never to entrust the fate of so many to a poor, fallible creature, but to worship the Unique One, and elect Wisdom their earthly sovereign. The Earth belongs to men. Two days of fighting destroyed the Xipéhuz, and the whole area occupied by the last two hundred was razed; every tree, every plant, every blade of grass was killed. And I finished, for the education of the peoples of the future, helped by my sons Loum, Azah, and Simhô, inscribing their history on granite tablets. And here I am alone at the edge of Kzour in the pale night. A coppery half moon stands at the west. Lions roar to the stars. The river placidly wanders among the willows, and its eternal voice tells of the passage of time, the melancholy of perishable things. And I bury my face in my hands, and a cry of sorrow arises from my heart. For now that the Xipéhuz are dead, my soul regrets it, and I ask the Unique One what Fatality willed that the splendor of life be tainted by the darkness of Murder! The Precursors of Nineveh by B. Dessault, edition in-ocatvo, Calmann-Lévy, Paris. With the reader’s interest in mind, I have converted the following extract from the Book of Bakhoûn into modern, scientific language. Both the Kensington Museum in London and M. Dessault himself possess some mineral debris, similar in every respect to that described by Bakhoûn, which modern chemical analysis has failed to break down and combine with other substances, and which therefore cannot be placed within the nomenclature of known materials. In the following chapters, where the method is primarily narrative, I have condensed M. Dessault’s literal translation, without forcing myself into a tiresome division by verses or into needless repetition. Translation © 2012 Jason Colavito. All rights reserved. Editors interested in licensing this translation for publication may inquire at JasonColavito@outlook.com.